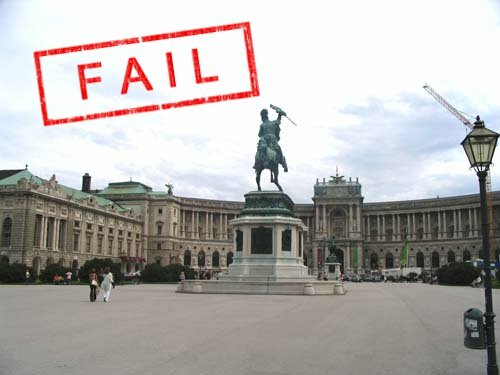 K-pop flashmob in Vienna fails due bad organisation! next Koncert kpopowy w Wiedniu w przyszłym roku? well, apparently the event was organized by some 14 or 15 year old boy who had never done such thing and also wasn’t willing to listen to what we told him to do (organizational things). in austria you need a permit for such an event and until the end he wasn’t able to tell us if he had one or not. Keep up the good work, I read few content on this internet site and I conceive that your web blog is very interesting and has circles of fantastic info. certainly like your web site however you have to take a look at the spelling on several of your posts. A number of them are rife with spelling issues and I to find it very bothersome to tell the truth then again I’ll definitely come again again. Hiya! I simply want to give an enormous thumbs up for the good information you could have here on this post. I will probably be coming back to your weblog for extra soon. Hi I like your blog site. Do you need to guest post on my very own at some point? If so make sure you let me know by means of e-mail or perhaps reply to this kind of remark because I subscribed to notices and will know if you do. I went over this website and I think you have a lot of superb information, saved to bookmarks :. Some writers make it difficult to understand the point they¡¯re trying to get across. You, the other hand have made your points clear, concise and interesting. I¡¯m glad I was able to read your content.